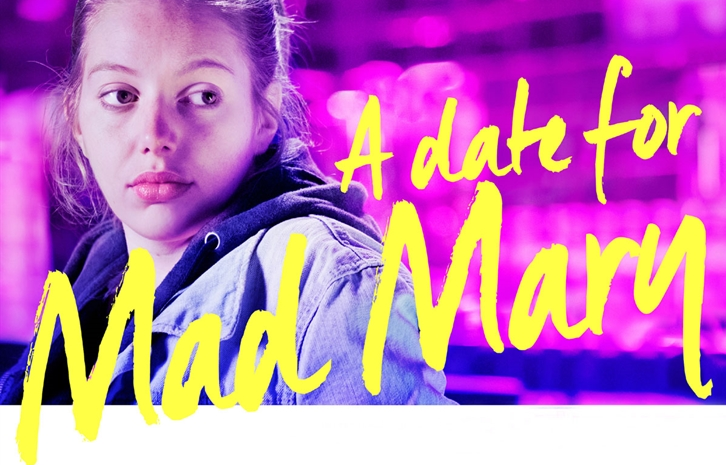 Set in Ireland, this very dry comedy sees ‘Mad’ Mary McArdle released from a six-month prison stretch and returned to the home she shares with her Mum and Nan, days before she’s due to be Maid of Honour at her best friend, Charlene’s, wedding. Instead of a warm welcome from the childhood friend she adores and the night on the town that she was desperately looking forward, Mary finds that things have drastically changed. Charlene is no longer her lairy, track-suited side-kick. Instead she’s become a fully-polished and fully-evolved Bridezilla. When the long-awaited celebration of her freedom never arrives and Mary gradually realises that her best mate is embarrassed of her, she determines to prove that she’s as good as everyone else by finding herself a +1 for the wedding. However, her lack of social skills, insecurities, bad temper and quick tongue derail her attempts to navigate the complexities of dating. And when she’s faced with some uncomfortable truths she’s forced to re-evaluate what and who she really wants from her life and find a place for herself in the new social set up that she’s returned to. Written by Colin and Darren Thornton and directed by Darren Thornton, this great comedy has some wonderful female roles, brilliantly cast, and played by women who handle the dialogue superbly. As well as a star turn by Seána Kerslake, as Mad Mary herself, it includes Barbara Brennan as the miserable Nan, delivering some beautifully-cutting lines. This entry was posted in Film, London Life, Review and tagged Barbara-Brennan, BFI, Colin-Thornton, comedy, Darren-Thornton, female, Festival, film, Ireland, LFF, London, London Film Festival, Norma-Sheahan, prison, Seána-Kerslake, women. Bookmark the permalink.